When Jesse Lingard pounced to prod a loose ball through Bernd Leno’s legs in the 69th minute of Manchester United’s skirmish with Arsenal on Wednesday night, Old Trafford braced itself for a frenetic final act. Lingard’s goal levelled the scores at 2-2 and the timing of the equalizer left a considerable chunk of time for United to go hunting for the third and possibly winning goal. But as the excitement and anticipation began to simmer in the Stretford End, the amateur sports statisticians and number crunching boffins among their number rolled their eyes at their comrades’ naivety. Their apathy was borne out of the identifiable and well-established goal scoring patterns United tend to weave under Jose Mourinho. Under the acerbic Portuguese manager, United are a “two goals and done” kind of team. Playing inside Mourinho’s chokingly restrictive attacking framework, the team in Manchester red have become Man-Two-nited. Make sure to check out our FST Premier League Team Of The Week here. 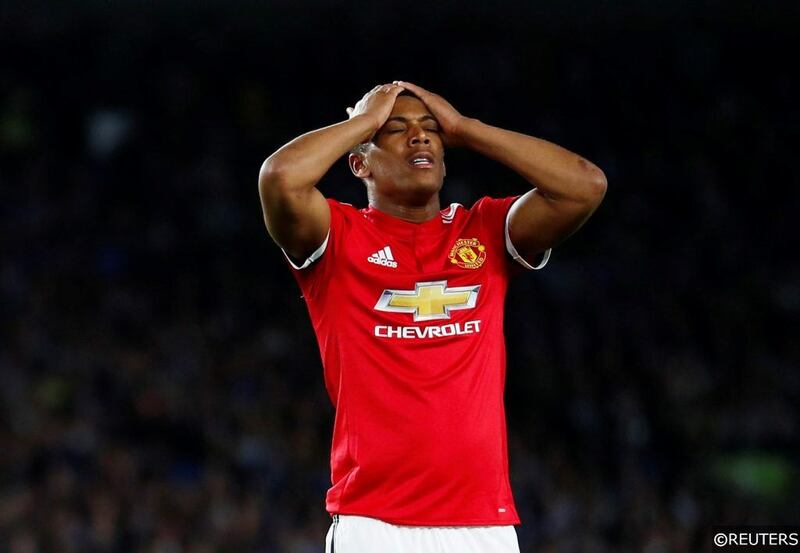 In a twist of the common “double or quits” expression, Manchester United have routinely been a double AND quits team in terms of scoring goals this season. United’s domestic travails have been well documented and many of their problems are rooted in the team’s lack of forward thrust. Their punch in the final third has consistently been limited to a one-two combo and that’s where United’s attacking flurries tend to start and end. United have scored exactly 2 goals in 9 of the 15 Premier League fixtures they have played so far this season. That equates to a staggering 60% of their league games where they have hit the net exactly twice. The Premier League average for this season in the same metric currently stands at 23%, putting United well ahead of the curve. To date in 2018, between the end of last season and beginning of the current campaign, United have played 32 Premier League fixtures, scoring exactly 2 goals in 16 or 50% of them. Scoring twice in every other Premier League in 2018 game puts United’s 2-goals per fixture percentage at over twice this season’s average (23%) and twice 2017/18’s average (21%). Read More: Premier League Sack Race: Who’s Next in Line For The Chop? Last season, Man Utd’s mutation into Man-Two-nited really started to accelerate. United had closed out the season before (2016/17) with successive 2-0 wins against Crystal Palace in their final Premier League game and against Ajax in the Europa League – a set of foreshadowing results that fittingly arrived in a binary format. 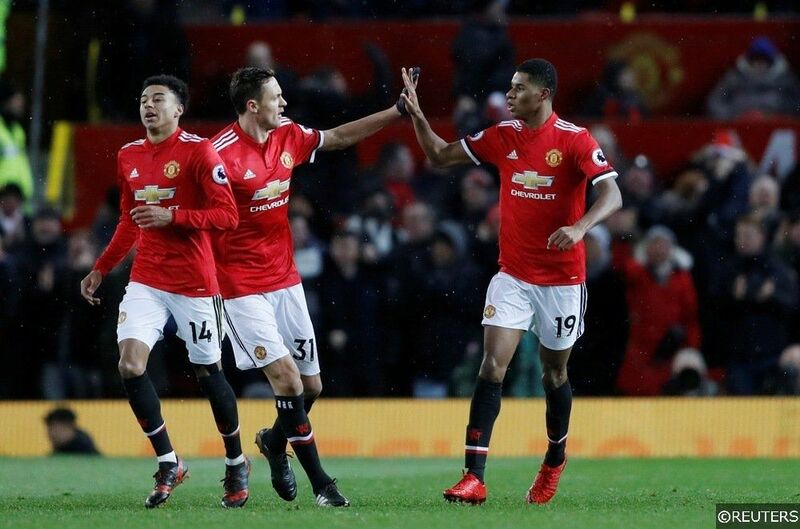 In total, United scored exactly 2 goals in 19 separate fixtures during the 2017/18 campaign, a number that accounts for 33.9% of their competitive games for the season. Yet, between August 2017 and the last day of December the same year, the 2-goal phenomenon hadn’t established itself fully. United scored exactly 2 goals in only 8 or 25.8% of their 31 competitive games up until New Year’s Eve. However, after back-to-back 2-0 wins in league and cup against Everton and Derby respectively in the first 2 fixtures of 2018, the warning signs were there. United finished the remainder of the 2017/18 season by scoring twice in 11 or 44% of their 25 competitive fixtures. That sequence included a delightfully two-tastic run between February 25th and April 29th, where United scored exactly 2 goals in 8 of their 11 games. What can I possible do with this information I hear you ask? From a betting perspective – quite a bit actually. For instance, had you been armed with our information and staked £10 on United scoring exactly 2 goals in each of their 15 Premier League fixtures this season, you’d have roughly doubled your money by now. As we detailed earlier, United have scored exactly twice in 9 of their 15 Premier League matches to date in their 2018/19 campaign. If we use the odds from United’s upcoming weekend fixture against Fulham as an example, we can get an approximate idea of how much the overall returns for the season would have been. You can back United to score exactly 2 goals against Fulham on Saturday at around 9/4. A winning £10 stake on that selection would return £32.50. The same £10 stake placed in the same market for all of United’s 15 Premier League fixtures this season (£150 wagered in total) would have returned 9 winning bets with an approximate total of £292.50. Of course, the odds available for United to score 2 goals in a game would fluctuate depending on who they were up against. The odds available on United registering exactly twice at Old Trafford against bottom-club Fulham for instance, will probably be among the shortest prices of the season in that market, so really, our returns estimate for 2018/19 could be considered a little on the conservative side. The same statistical information can be used in other areas for the more risk-averse bettors out there too. You can back United to score under 2.5 total team goals at comparatively reduced odds (8/13 vs Fulham), though your chances of a return skyrocket. In 2018, United have scored 2 goals or less in an eye-watering 28 or 87.5% of their 32 Premier League matches. A deadly combination of low-confidence, underperformance and defensive tactical direction should ensure that Man-Two-nited are here to stay for the foreseeable future, and the numbers suggest that there are ways to benefit from their misery. Check out our expert match previews, predictions and betting tips for all the weekend’s Premier League action here. Categories: Betting Strategy, Blog, Football, and Premier League. Tags: betting advice, betting strategy, betting tips, Jose Mourinho, Man Utd, and manchester united. Team Tag: manchester united. League: England Premier League. Sports: Football.